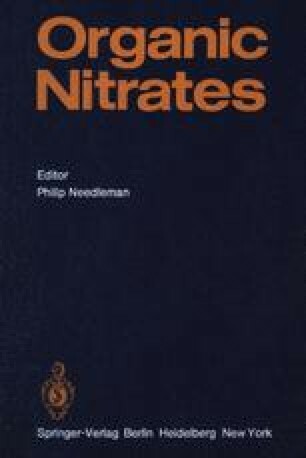 The most prominent pharmacologic effects of the nitrate-nitrite drugs are manifested on the vasculature; the small blood vessels, arterioles, capillaries, and venules. The details of these actions and the response of the cardiovascular system will be considered in this chapter. Other pharmacologic properties include actions on bronchial smooth muscle and cardiovascular enzyme systems.